Let us inspire you with our pick of what's on around Hong Kong this week, 15 February 2019! Planning for the week ahead? 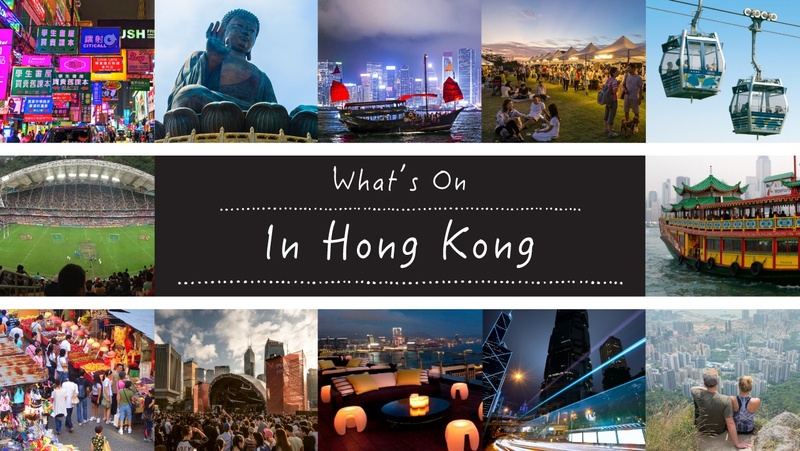 Let us help with these highlights of what’s on in HK this week 15 February 2019. Want more? Check out our comprehensive what’s on guide with full listings for the months ahead here. This talented pair are household names in Southeast Asia and making waves internationally, and will bring their R&B heat to the stage at Mudita as a part of their Asia Tour. Sydney based alternative-pop trio GLADES combines atmospheric synthscapes, reverb-laden guitars, with complex electro pop beats, drawing comparisons with Broods, CHVRCHES, Halsey and The 1975. Enjoy a night under the stars this Valentine’s Day weekend by attending Shakespeare in the Park! Bring blankets, pillows, food and drink! Dr. Paul and the team at Dr. Fern’s Gin Parlour will be hosting a very special Valentine’s Gin Love Potion Masterclass at the clinic, for all the couples in need of love prescriptions. Become your own bartender and experience a two-hour interactive cocktail making class on The Pawn’s Rooftop hosted by Botanicals Bar Mixologist, Ron Ramirez. Explore bar basics, equipments, techniques and tasting your own drinks as well as learning the history of the spirits and their use in classic and contemporary cocktails. Now in its seventh edition, the Longines Masters of Hong Kong has become an integral part of the region’s social and cultural calendar, combining heart-pounding competition by the world’s top show jumping riders and horses with world-class entertainment, fashion, art and gastronomy. This year’s Hong Kong Marathond will feature several categories: marathon, half marathon, 10K, Wheelchair 10K, 3K Wheelchair, 2.2K Youth Dash and a 1K Family Run. The views are sure to be fantastic as you run around the city and there’s something for all ages. Clowning, bubbles and a wonder-filled world of magic, music and beautiful lighting create a truly unique and innovative performance, ideal for the whole family – including mums and dads! Live performances by The Sideburns and Live 8 with proper full vinyl sets from Dave ‘Wobbly’ Ross and Steve 52 as well as a $1000 pin-up girl contest and drink specials all night long. German electronic duo, Booka Shade will be coming to Mudito to perform an incredible live set experience. Get ready for a great night of house and techno. Craig David, the smoothest man in pop, brings his blockbusting TS5 show to Hong Kong for the very first time. < Who needs Valentines when we’ve got Galentines!